For many years, terrorism was perceived as a contest between two sides: on the one hand, a group of people or an organization, and on the other, a sovereign state. However, during the course of the second half of the twentieth century, various countries began to use, and indeed have expanded their use of terrorist organizations to promote state interests in the international domain. Instead of the "weapon of the weak" - minority groups, liberation movements, and revolutionary organizations - terrorism has become a tool of states and even of superpowers. In some cases, states established "puppet" terrorist organizations, whose purpose was to act on behalf of the sponsoring state, to further the interests of the state, and to represent its positions in domestic or regional fronts. In other cases, states sponsored or supported existing organizations, thereby creating mutually profitable connections. The patron state provided its beneficiary terrorist organization with political support, financial assistance, and the sponsorship necessary to maintain and expand the struggle until the attainment of its objectives had been achieved. The patron used the beneficiary to perpetrate acts of terrorism as a means of spreading the former’s ideology throughout the word, or in other cases, the patron ultimately expected that the beneficiary would assume control over the state in which it resided or impart its ideology to broad sections of the general public. According to Ray S. Cline and Yonah Alexander, state sponsored terrorism aims "to achieve strategic ends in circumstances where the use of conventional armed forces is deemed inappropriate, ineffective, too risky, or too difficult." The high costs of modern warfare, the Cold War, and concern about non-conventional escalation, as well as the danger of defeat and the unwillingness to appear as the aggressor, have turned terrorism into an efficient, convenient, and generally discrete weapon for attaining state interests in the international realm. State support for terrorism has led to greater cooperation between organizations in countries throughout the world, even in cases where ideological affinity was minimal. The Soviet Union was among the first to sponsor a variety of terrorist organizations, either directly or through its satellite states, although with the collapse of the Soviet Union, Iran has assumed leadership in the terrorism sponsorship field, both through direct and (primarily) indirect means. Considering the level and scope of its involvement in terrorist activities, post-Pahlavian Iran has become the leading force in state sponsored terrorism. Recognizing the centrality and the vast influence of terrorism patrons on the scope and character of terrorist attacks throughout the world, the United States tracks these states on an ongoing basis and publishes an annual report of their activities. Inclusion in the report forbids American companies from trading with countries on the list, and excludes them from U.S. military or economic assistance, with the exception of humanitarian aid. International terrorism would not have flourished as it has during the past few decades without the funding, training, safe haven, weapons, and logistic support provided to terrorists by sovereign states. For this reason, a primary aim of our counterterrorism policy has been to apply pressure on such states to cease and desist in that support and to make them pay the cost if they persist. We do this by publicly identifying state sponsors and by imposing economic, diplomatic, and sometimes military sanctions. The American list relates, as noted, to states sponsoring international terrorism, namely, terrorism directed against citizens of another country, or against expatriates living abroad. (Hence, the American list does not relate to domestic violence performed by official agencies). A review of the reports for the last few years reveals that the list is constant; Cuba, Iran, Iraq, Libya, North Korea, Sudan, and Syria make up its members. Diagram 1 maps international terrorist attacks in an attempt to clarify the features characterizing state involvement in these attacks. The diagram shows that terrorist attacks reflects a variety of possible combinations: the interests of a state as opposed of a terrorist organization, and state support for attacks as opposed to self-sufficient organizational action. In general, terrorist attacks can be divided into two groups according to the perpetrating agency: attacks by terrorist organizations (colored gray in the diagram), and attacks perpetrated directly by official state institutions or their agents - security forces, intelligence services, and others (colored black in the diagram). Naturally, the former group of attacks is considerably larger than the latter, both because states prefer to avoid responsibility, and because terrorist organizations also conduct operations without direct links, initiative, or support from states. Terrorist acts performed directly by a state are initiated by the state in order to attain a specific interest of that state (see mark 1). Most terrorist acts, however, are performed by terrorist organizations and result from the attempt to pursue the interests of the terrorist group (marks 4-9), while a minority are meant to satisfy only the interests of the sponsoring state (marks 2, 3). Some reflect a shared interest of the state and the organization (marks 6-9), and of these some are state initiated (8, 9). Of attacks carried out by terrorist organizations, some involve direct state support at the planning, preparatory or operational stages (marks 3, 5, 7 and 9). These attacks may be intended to achieve an interest of the organization (mark 5), or an interest shared by the organization and the state (marks 7 and 9), or even merely to promote the interests of the sponsoring state (mark 3). Attacks meant to attain an interest shared by both the state and the organization may sometimes enjoy state support (7, 9). * Acts of terror initiated by the organization to advance its own interests and without any state involvement. * Acts of terror initiated by the organization to promote its own interests, with operational assistance from the state. * Acts of terror initiated by the state to promote the interests of the state or a shared interest (at times with operational assistance from the state). * Acts of terror executed by the state or its agents in order to achieve its own interests. States are involved in terrorism in a variety of ways, from various levels of general assistance, to operational aid, to initiating and directing a terrorist organization’s activities, and up to direct attacks perpetrated by official state agencies. Such forms of involvement classify states as "states supporting terrorism or "terrorist states." The second category has become a political weapon used by states to describe their rivals or by terrorist organizations against opposing countries. The deliberate employment of violence or the threat of use of violence by sovereign states (or sub-national groups encouraged or assisted by sovereign states) to attain strategic and political objectives by acts in violation of law. These criminal acts are intended to create overwhelming fear in a target population larger than the civilian or military victims attached or threatened. The basic level of state support for terrorism is "ideological support." Terrorist organizations, as noted, are a convenient instrument for spreading ideological doctrines, particularly revolutionary ones. States such as the Soviet Union and Iran, which set themselves the operative-strategic aim of spreading their revolutionary ideology (Communism in the former case and Islamic fundamentalism in the latter) found suitable allies in terrorist organizations. In some cases, however, terrorist organizations were founded by extreme radical activists, who were inspired to found their group by a state which supported terrorism or who had accepted the ideological sponsorship of a state sponsor in an effort to attain material assistance, after having already founded their organization. In such cases, the terrorist organization is provided with political, ideological or religious indoctrination via agents of the supporting state or is trained by institutions of the sponsoring state. (In this context one should mention communist terrorist organizations, such as the "Popular Front for the Liberation of Palestine," which enjoyed support from the Soviet Union, and organizations with an Islamic fundamentalist outlook, such as Hizballah, with close ideological and religious ties to Iran). A higher level of state support for a terrorist organization is "financial support." In order to continue operations and develop further, a terrorist organization requires large sums of money, which are sometimes unavailable through its own independent resources. In such cases, terrorist organizations rely on the generous support of sponsoring states. Today Iran is one of the main contributors to terrorist organizations. Thus, it has recently been reported that Iran’s terrorist assistance budget has reached 100 million dollars a year (of which 60 to 70 million are transferred to Hizballah). These funds are appropriated to terrorist organizations through the "Office of Revolutionary Movements," which is responsible, inter alia, for transferring funds to Hamas, the Islamic Jihad, and other groups and organizations. Diagram 2: Part I describes the different levels of state support for terrorist organizations, and state’s involvement in terrorist attacks. Part II classifies states according to their level of involvement. A higher level of aid involves "military support." Within this framework, the state supplies the terrorist organization with a broad range of weapons, provides military training, organizes courses for activists, and so on. Iran also falls in this category. For instance, Hassan Salame (a Hamas leader responsible for several suicide attacks in Israel, who was arrested in mid-1996) reported that he had trained in Iran. His disclosure confirms many accounts about an extensive military and operational training network in Iranian facilities for members of terrorist organizations and extremist groups from all over the world. The next level of aid is "operational support." It entails the direct provision of state assistance in the perpetration of specific attacks. Operational support takes various forms: false documents, special weapons, safe havens, etc. Iranian embassies throughout the world, for instance, play a crucial role in this context. At times, Iranian embassies provide terrorist cells with weapons (transported through diplomatic mail), money, passports and visas, or recruit collaborators from within the Islamic community of the states in which the embassies are located, for the purpose of aiding the terrorists. Let it be clear - Iran finances, trains, directs, and pressures Hizballah to perform these attacks and hurt innocent victims . . . We know that Iran has been exerting pressure to strike targets within Israel, as well as Jewish and Israeli targets abroad. It is worth noting that the Italian newspaper Corriere della Sera, relying on Egyptian sources, reported that a conference of Islamic terrorist organizations, sponsored by Iranian intelligence services, convened in Iran in mid-June 1996. At the conference, it was decided to create a monthly forum based in Iran to coordinate positions and obtain the authorization of Iranian secret services for terrorist activities. The highest level of state involvement in terrorism is "perpetrating direct attacks by government agencies." In these cases, the state carries out terrorist attacks in order to further its interests, using agencies from its own intelligence services and security forces, or through people directly responsible to them. Iranian involvement can also be found in this category, specifically regarding attacks on Iranian exiles in Europe. Thus, for instance, in may 1996 an Iranian intelligence agent was arrested in Germany for the murder in Paris of Reza Masluman (a former minister in the Shah regime and a leading member of the Iranian opposition). In another instance, four Lebanese and one Iranian were tried for the 1992 assassination of four Kurdish leading members of the Iranian opposition, at the Mikonos restaurant in Berlin. The former-Iranian president, Abdel Hassan Banisader, who testified at their trial in Berlin, accused the Iranian leaders, Ali Akbar Hashemi Rafsanjani and Khamenei, of personal involvement in the murders. He reported he had received this information from a former top agent in Iranian intelligence who had defected. According to this source, Khamenei authorized the murder in writing, while Rafsanjani was involved at the planning stage, three months before its execution. Iran is not the only country which executes terrorist activities through its own official agencies. Direct Libyan involvement in terrorist activities deserves mention in this context. For example, a French judge recently declared -- following a prolonged investigation (parts of which were carried out in Libya) of the explosion of a UTA-owned (France) airplane over the Sahara Desert in 1989, in which all 170 passengers and crew were killed -- that leading figures in Libyan intelligence stood behind the incident. The judge issued two international arrest warrants against Libyans for their involvement in preparing and transporting the bomb, and intends to prosecute them in absencia. The pyramidal structure of the diagram serves to illustrate the degree of state involvement in terrorism. The basis of the pyramid marks more limited involvement, while the apex indicates the highest level of state involvement in terrorism. The ascent along the various levels of the pyramid reflects state implication at rising levels of support and assistance. The use of the pyramid also illustrates the scope of the phenomenon. The farther up the pyramid one goes, the fewer are the groups and organizations which enjoy heightened levels of state support. In Part II of Diagram 2, states are classified according to their level of involvement in international terrorism. At the basis of the pyramid, reflecting the lowest level of terrorism involvement (from an international perspective), is the "terrorist state" -- a state that systematically and purposefully brings violence to bear on its citizens, going so far as to oppress civil society within its borders. Not all states that disregard their citizens’ rights or establish dictatorial or autocratic regimes are sponsors of international terrorism, however it is safe to assume that states which sponsor international terrorism are involved, to some extent, in the oppression of some sectors or strata of their own societies, as well. At the next level of the pyramid is the "state supporting terrorism" - a state that supports terrorist organizations, aiding them in their activities according to the levels of support described in part I of the second diagram (see above). A higher level of involvement comes to the fore in the activities of a "state operating terrorism" - a state which initiates, directs and performs terrorist activities through groups outside its institutions. The highest level of involvement in international terrorism is represented by the category "state perpetrating terrorism." At this level are countries which execute terrorist acts abroad through its own official bodies (members of its security forces or intelligence services, or their direct agents). Such states intentionally engage in attacks against citizens in the territories of foreign countries in order to achieve political aims and goals, without declaring a state of war. (According to international conventions, acts of intentional aggression committed against citizens by official agencies of a state, either in a state of war or in occupied territories, are considered war crimes rather than terrorism). The levels of the pyramid represent degrees of involvement in international terrorism: i.e., the higher up the pyramid, the greater and deeper the involvement. In addition, and similar to part I, the pyramidal structure also illustrates the number of states sponsoring international terrorism -- the greater the involvement (as we ascend the pyramid), the smaller the number of relevant states. Having established the various features of state sponsorship of international terrorism, we are faced with determining the possibility of preventing states interested in assisting terrorist organizations or in perpetrating terrorist acts on their own. Before turning to this issue, however, we must determine the extent to which one can view the decision to engage in terrorist activities as a rational act. Most states engaged in terrorism choose to do so. They take into account the price they will be required to pay for their activity, in exchange for the benefits gained by the attainment of their policy goals. Usually, these states adhere to rational cost-benefit analyses. Indeed, most countries which sponsor terrorism are not democratic, and their decision-making processes are limited to the consideration of a single ruler. The variables entering the cost and benefits equation in such cases might seem irrational to Western sensibilities, as they seemingly assign exaggerated and disproportionate weight to ideology, religion, and emotions. But even the lone decision maker tests the extent to which his activity will ultimately promote his goals, as he himself has defined them, and whether countermeasures adopted against his country, if and when its involvement in terrorism is disclosed, will endanger his and his country’s basic interests. For every country, there is a limit to the amount it willing to pay for its continued involvement in terrorism. The price scale varies from country to country, as does each one’s "breaking point." Hence, in order for deterrence to be successful, countries contending with terrorism must raise the costs of terrorism involvement to the point where the costs outweigh the benefits, and they must do so according to the specific characteristics of the individual state sponsors. What is the range of activities available in the deterrence of states sponsoring terrorist activities? What is the "price scale" that the international community can endorse in an attempt to alter the costs and benefits analysis of those states which are involved in terrorism? Diagram 3 specifies deterrent options against states engaged in terrorism. The diagram reflects a rising scale of prices of international efforts, each one conveying a more stringent sanction than the previous one, beginning with a warning to cease terrorism sponsorship, to international condemnation and cultural boycott (including banning the sponsor from international events, removing it from international cultural or educational programs, and the expulsion of its citizens who live, work, or study in other countries). The next stage is a diplomatic boycott, including the removal of terrorism sponsors from international institutions, the suspension of its membership in UN institutions, removal from the UN General Assembly and even a cessation of bilateral relations (no country has ever been expelled from the UN). At the next stage (or parallel to the previous one) is an economic boycott. Such a measure could include restricting the state’s ability to purchase military or dual-use equipment (in a military conflict or in its involvement in terrorism), preventing exports to it and purchases from it, freezing and confiscating its assets throughout the world, and the construction of a blockade, by air, land and sea. In addition, a secondary boycott could be imposed on countries and companies which insist on maintaining commercial ties with the sponsor. The next phase is the legal stage. Here, the sponsoring state’s political and military leaders are defined as "war criminals" or charged with "crimes against humanity," with international show trials set to punish them (even if not in their presence). The highest stage of punishment and deterrence against a state sponsoring terrorism is the offensive stage - international coordinated military actions against the terrorist organization’s facilities in the sponsoring country and the sponsor’s military installations. Sorting out states according to their level of involvement is an efficient way of arriving at a clear and defined international strategy against states which sponsor and perpetrate terrorism. Classifying these states and adjusting the punishment to their crimes will cause some to reconsider their involvement in terrorism and to reevaluate the costs and benefits of continued or increased involvement in terrorism. Clearly, it is neither necessary nor justified to adopt all the punitive and deterrent measures available against all countries involved in terrorism. They must be adjusted to the level of involvement and the characteristics of the countries involved in terrorist attacks. Thus, for instance, against states "supporting terrorism" (helping terrorist organizations indirectly), a warning, a condemnation, and a cultural and diplomatic boycott might suffice, whereas against states that "operate terrorism" (initiate attacks and execute them through other groups and organizations), one might consider an economic boycott and even legal action. Against states "performing terrorism" (executing terrorist attacks through their own intelligence and security services and their agents), it may be necessary to adopt offensive measures. Diagram 3. It should be stressed that the diagram only brings examples of punitive and deterrent measures against countries involved in terrorism. One can add or detract steps according to the features of the country at stake, the estimated effectiveness of these actions, and the current international situation. The "punitive price scale" adopted against states engaged in terrorism must be clear, explicit, and consistent. No measure should be chosen randomly. Only when the terror sponsor is aware a priori of the price to be exacted for its continued involvement in terrorism, and only when it can be persuaded that the international community is determined in its stance, will the deterrent measures succeed. The way to deter a state from engaging in terrorism or supporting terrorist organizations is to clarify a priori that the price of these activities will be higher than the benefits of terrorism sponsorship, and that the price has indeed been exacted. In the past, when punitive measures were used against terrorism sponsors, they were employed randomly, by either one or several countries and at times relying on UN resolutions while at others not. However, they were not used as part of a clearly defined "price scale." Thus, in 1986, following the disclosure of Syria’s direct involvement in Hindawi’s plan to blow up an El-Al plane bound for Tel-Aviv, the Bonn federal government adopted a series of measures against Syria, among them: imposing restrictions on Syria’s German embassy, Syrian airlines, and on Syrian nationals in Germany. The sending of Germany’s ambassador to Damascus was also suspended. In addition, France and Germany decided on punitive steps against Syria, after a British motion for joint sanctions was rejected at a Luxembourg meeting of foreign ministers of the European Common Market. Concurrently, Britain vetoed a five-year aid package worth 140 million dollars that the European Common Market had intended for Syria. The British foreign secretary, Sir Jeffrey Howe, said that "Britain is not prepared to continue financial aid to Syria in the present circumstances." Some of the more prominent measures adopted against terrorism have been levied against Libya. Following the disclosure of Libyan involvement in various terrorist acts (including against American troops), the United States bombed targets in the Libyan cities of Tripoli and Bengazi in 1986. In April 1991, due to Libya’s continued involvement in terrorism and, specifically, its refusal to extradite the Libyan security personnel suspected of involvement in two attacks on passenger planes that resulted in hundreds of deaths (the Pan-Am flight over Lockerbie and the French UTA plane in the Sahara desert), the Security Council, following an American initiative, imposed sanctions on Libya that included a ban on commercial flights, an arms embargo, a restriction of the transfer of technical information, and other measures. As Libya continued its refusal to bow to international pressure, the Security Council stepped-up its punitive efforts, and imposed air blockade. In the resolution (Number 748), Libya is required to undertake an explicit commitment to desist from any terrorist activity and stop any aid to terrorist organizations. The Security Council also called upon members of the United Nations to stop supplying Libya with weapons, to reduce the number of Libyan diplomatic representatives, and to limit the movements of Libyan diplomats within the territories of their host countries. This was the first time the UN used its power to impose sanctions against a country accused of international terrorism (the resolution was approved by a majority of ten, with five abstentions). Later, in November 1993, the Security Council adopted an additional resolution (Number 883) against Libya, which re-ratified the previous one (this time with a majority of eleven and four abstentions). The new resolution called for the freezing of funds and economic assets owned or controlled by the Libyan government, a ban on the supply of drilling equipment to Libya, and other steps. The resolution also stated that the sanctions against Libya would be suspended if Libya were to meet the Security Council’s demands, namely requiring the suspects in the Lockerbie incident to attended their trial and cooperating with official French agencies investigating the UTA affair. The struggle against states involved in terrorism reflects many conflicts of interests in the international arena - between states and superpowers, alliances and leagues of states, groups, and organizations. At times, however, the counter terrorism effort creates conflicts of interests within a state, between its security and economic interests. Thus far, economic interests have had the upper hand, whereas security interests, expressed in the will for a more effective struggle against states engaging in terrorism, have been relegated second class status. 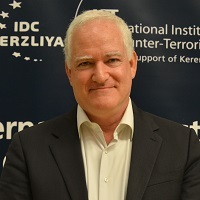 In a study published by the Washington Institute for Near East Policy, Michael Eisensdadt specifies the scope to which countries with extensive commercial ties with Iran were involved in export activity during 1994. Heading the list is Germany, with exports of 1,737 billion dollars. Japanese exports to Iran totaled one billion dollars, French exports - 907 million dollars, exports from Italy - 787 million dollars, Turkey - 294 million dollars, China - 292 million dollars, and Holland - 259 million dollars. It is worth noting that American companies also continued trading with Iran, exporting on a scale of 362 million dollars. Heading the list of countries receiving Iranian goods (particularly oil) is Japan, about 2.5 billion dollars, followed by Korea with 1.2 billion dollars and Italy with 925 million dollars. An analysis of the international measures adopted against countries involved in terrorism reveals that most states are unwilling to sacrifice their economic interests for the cessation of terrorism. The most prominent example of such a tendency can be found in the attitude of European states (headed by Germany, France and Italy) toward Iran, the world’s leading terrorism sponsor. Contrary to the American approach, which is intended to restrict Iranian activities and to force it to abandon terrorism by further damaging Iran’s precarious economy with additional sanctions, the countries of Europe have relied on a varied set of practical arguments to justify their extensive economic and commercial ties with Iran. Every advanced country is going to have to make up its mind whether it can do business with people by day who turn around and fuel attacks on their innocent civilians by night. That’s a decision that every country will have to make. From the skies over Lockerbie to Khobar Towers, from the World Trade Center to Centennial Park, America has felt the pain of terrorism abroad and at home. From the Tokyo subway to the streets of Tel-Aviv, we know that no nation is immune. President Clinton stressed that protecting the economic and political interests of the United States compels it to lead the struggle against international terrorism. [The D’Amato Law] establishes the unwelcome principle that one country can dictate the foreign policy of others, and disturbs the unity of purpose between allies that is so necessary if we are to stamp out terrorism successfully together. The American law and programs breach fundamental principles of international trade and of the Organization for Economic Cooperation and Development, and we hereby announce that we will not accept them. As a matter of principle, we have many reservations, principled reservations, about extraterritoriality of a domestic law to the outside countries. We think that it is against international law. The measures adopted by the United States are incompatible with the code regulating international relations, and will solve nothing. No one can systematically use sanctions and pressure to solve this type of problem. We are in need of practical steps to broaden international cooperation against terrorism, but not of unilateral steps that violate the law. The D’Amato Law was labeled as inconsistent with international agreements and the rules governing international trade. Such claims, however, are not completely unfounded. True, the D’Amato-sponsored legislation is a secondary boycott, and as such, it does limit free international trade by introducing political considerations into the formulation of trade procedures. However, the law reflects a more important international need. It attempts to close the loopholes of international sanctions imposed against countries involved in terrorism. Without punishing those who violate these international sanctions, sanctions cannot be enacted. Indeed, criticism of the D’Amato Law points to the urgent need to modify international agreements so as to make them compatible with a law of this type. When trade agreements were signed, the extent to which international terrorism would come to endanger both world peace and the safety of the world’s citizens could not have been foreseen. In today’s world, trade agreements must allow for the enabling of an efficient struggle against countries engaged in terrorism. These agreements are designed to regulate and maintain international economic exchange, while anti-terrorism efforts are designed to ensure the continued safety of the international community as a whole. If there is room for criticism against the D’Amato Law, it concerns the legislation’s provision of only imposing sanctions against companies which invest more than 40 million dollars a year in Iran and Libya. Such a sum leaves a significant amount of room for companies interested in continuing their investment, and in maintaining broad economic links with these countries. Encouraged by the broad international criticism of American measures, the Iranian Oil Minister announced that the sanctions would have no effect on his country’s oil production -- "our oil industry has never been in better shape and there is no concern regarding the future." Iranian Foreign Minister Ali Akbar Velayati added that his country "is not afraid of an American boycott that will have no effect on the economic situation in Iran." Iran even went so far as to submit a claim against the United States at the Iranian-American arbitration tribunal at the Hague. Iran requested that the court ratify preventive measures to restrain the United States from enacting the D’Amato Law. Countries maintaining extensive economic links with states involved in terrorism choose to justify their policy in utilitarian-international terms rather than in economic ones. Their claim is that imposing sanctions on such states will not lead them to restrict their sponsorship of terrorism. Indeed they claim that the opposite will result, and such policies will corner them into even more extreme, violent tactics and a further escalation of international terrorism. According to such an outlook, the preferred policy is one of "critical dialogue" - keeping channels open with states sponsoring terrorism by maintaining economic and cultural links with them. Such "open channels" can be used as a means to voice criticism of terrorism policies and to influence terrorism sponsors against the continuation of their sponsorship. Some countries opposed to the policy of "critical dialogue" use the services of its proponents as negotiators, in efforts to release hostages, to apply pressure on beneficiary terrorist organizations, and so forth. In so doing, they subvert their own efforts, erode the moral grounds of their opposition to this policy, and nullify any criticism against countries that endorse it. Thus, for instance, American requests from Germany to intercede with Iran to release American hostages, as well as Israeli requests for German intervention in returning the bodies of Israeli MIA’s from the Lebanon war and in the release of the navigator Ron Arad, could be used by Germany to vindicate its policy of "critical dialogue" with Iran. The mediation tasks assigned to these countries grant them "clearance" to continue their extensive ties with Iran and terrorism sponsors, and frustrates the efforts to come to a joint international strategy in the struggle against terrorism sponsors. At the Paris summit of the industrialized countries (G-7), in August 1996, which dealt with international terrorism, the Europeans blocked an American attempt to impose sanctions on four terrorism sponsoring states -- Iran, Libya, Iraq and Sudan. The European participants claimed that isolating countries such as Iran has no moderating influence whatsoever on terrorism, but rather the opposite. In support of their "critical dialogue" approach, they claimed they can make ingenious use of the "carrot and stick" approach, thereby preserving the effectiveness of their own actions against terrorism sponsors. To test these claims one must return to the premise that states engaged in terrorism, like other states, rely on a rational cost-benefit analyses. When the "critical dialogue" countries assume that imposing sanctions on states sponsoring terrorism is ineffective they imply that "stick" measures are a priori doomed to fail. Hence, only the "carrot" is left from the "carrot and stick" approach -- sustaining commercial and economic ties with these states. However, barring sanctions and rejecting the imposition of painful measures prevents the cost element from increasing, thereby maintaining the previous balance of the cost-benefit calculus. Thus, a terrorism sponsor is not induced to change his policies. lead to escalation. This claim is compatible with another conciliatory strategy toward terrorists, mainly that which support a "dialogue" with terrorist organizations in an attempt to influence their policies. Such a policy is in effect "buying silence." In such cases, a terrorist organization (or sponsor) agrees to refrain from carrying out attacks within the borders of a certain country, in exchange for a commitment by that country to turn a blind eye to terrorist activities of the organization or the ideological influence or support of the sponsor. In so doing, the country conceals the responsibility of the organization or its sponsor, and can even prevent the extradition of terrorists caught in that country or lead to the release of terrorists without, or shortly after a trial. Such a strategy is opportunist at best. It promotes particularistic interests while jeopardizing the safety of the entire international community and of other sovereign states. It also hampers all chances of effective international cooperation in the struggle against terrorism; it defeats the international effort to coerce terrorism sponsors to refrain from further involvement in the use of terror. However, this strategy does not justify the hopes of those that "buy silence." Such efforts rely, as noted, on the premise that this policy will serve the security interests of the country which adopts it (by limiting the number of attacks perpetrated within its territory) as well as its economic goals (by expanding the economic ties with the state sponsoring terrorism). This estimate, however, appears to be wrong in the short, as well as the long term. From a security point of view, there is ample evidence that organizations and states have not refrained from carrying out terrorist attacks and other subversive activities against countries with which they maintain good relations. Thus, for instance, evidence has recently emerged of Iranian involvement in a terrorist attack against Kurdish exiles in Germany, and proof was offered of Iranian involvement in the murder in France of Shahpur Bakhtiar, a former-Iranian prime minister. Nor does "buying silence" appear to be economically profitable, even if in the relative short term. Investments in countries with revolutionary regimes such as Iran, Libya, and others, are very risky and subject to instantaneous cancellation, if and when a regime decides, for instance, to nationalize foreign economic institutions and confiscate their assets, or to default on foreign loans. Long term economic interests are equally at risk. States which sponsor terrorism generally support a broad range of terrorist organizations throughout the world, and their control over some of them is sometimes rather lax. Sponsors kindle the revolutionary fire of various organizations, although sometimes these fires can be difficult to control. For example, the deliberate disregard of Iran’s terrorist activities and of its policy of "spreading the revolution" supports the expansion of Islamic fundamentalism. In so doing, those countries which maintain extensive commercial ties with Iran may someday face the possibility of coping with radical or even violent fundamentalist elements within their own Islamic communities. Furthermore, the spread of international terrorism is not healthy for the international balance of power and hampers commercial and economic stability. Brutal terrorist attacks (blowing up airplanes, attacking densely populated centers, etc.) may lead to the collapse of large corporations and provoke international chain reactions. These attacks could also spark a large international conflagration and culminate in an acute international crisis, and even in war. Finally, implementing a strategy of "buying silence" toward a state involved in terrorism might evoke anger of friendly countries suffering the consequences of terrorist activities, and thus undermine peripheral bilateral relationships. Hence, a strategy of "buying silence" and maintaining close commercial ties with terrorism sponsors is flawed, and may even entail damages and heavy losses in the short term and certainly in the long. Countries which maintain ties with terrorism sponsors sometimes justify their decisions on grounds of justice and morality. They claim that targeting the entire population of country for the policies adopted by a corrupt, extreme, and violent regime is immoral. Thus, for instance, in the Paris summit of the industrialized countries (G-7) in August 1996, France and Germany argued against the U.S. that measures designed to "turn entire populations into hostages" are cruel. But if considerations of justice are indeed of issue, the pain of those who are attacked must be measured against the suffering of the population in the state involved in terrorism. Hence, if the damage caused to the former will limit or stop the state’s sponsorship of terrorism, thus limiting the damage caused to victims of terror, the bringing of pressure to bear on the entire country is justified. Furthermore, the damage caused to the population of countries harmed by terrorism far exceeds that suffered by the citizens of the sponsor. In comparison to the inconvenience and the economic problems that may be caused by sanctions, the victims are confronted with their own possible deaths. In the balance of justice and morality, the choice is between the comforts of life and the right to life. Hence, the moral claim of countries which defend their ties with terrorism sponsors is groundless. Another claim raised in this context is that the application of communal punishment is an ineffective means of preventing or deterring terrorism or terrorism sponsorship. States which sponsor terrorism often have autocratic or dictatorial regimes, and public opinion does not play a central role in their internal political systems. Accordingly, pressuring the population cannot bring about the desired results and may even radicalize the population and spur additional volunteers to join the circle of violence. In addition, considering the generally low standards of living in these countries (when compared to the countries of the West), they are in a better position to bear the pressure of economic sanctions. While on the surface these claims may seem valid, they are, in fact, quite inaccurate. Sanctions imposed on a terrorism sponsor are not intended to influence public opinion but rather the government. Economic sanctions are meant to cause serious damage to the country’s economy and limit its ability to direct the economic resources necessary to carry out terrorist attacks or support terrorist organizations. Before economic sanctions affect the population’s daily bread, they affect the regime’s ability to implement costly projects, military and others, and compel the government to invest time in finding solutions to the country’s economic problems. Moreover, state sponsorship of terrorism usually involves the support of foreign organizations, and/or the execution of terrorist operations through official agencies belonging to the state’s security and intelligence services. Hence, even if countries imposing sanctions evoke the population’s resentment, their anger will be translated, first and foremost, into demonstrative and organized protest activities against the sanctions, and not into involvement in international terrorism. Furthermore, there is also a possibility that the precarious economic situation and the ensuing rage within the sponsoring state will provide fertile ground for the growth of opposition groups that may ultimately take over the government and adopt a new anti-terror policy. Europe lies when claiming it cannot force the Iranian regime to respect human rights. Iran is economically dependent on Japan and Europe, and a tougher stand can therefore compel changes in its policy. At the beginning of the nineties, Iran was at the height of a prolonged economic crisis. Even after having expanded its oil production from 2.5 million barrels a day to 4.1 million, Iran was unable to finance the return of its short-term loans, amounting to three billion dollars, which blocked its access to credit designed to finance the import of technological goods and raw materials for its industry. (The total Iranian debt to foreign countries was estimated in 1993 to be about 40 billion dollars). Only the willingness to delay payments shown by countries maintaining commercial and economic ties with Iran saved the Iranian regime from economic collapse. (Germany, for instance, agreed to renegotiate the Iran’s five billion dollar debt). European countries voiced another claim against American counterterrorism efforts. They argued that these efforts do not reflect an honest will to fight terrorism but rather the selfish interests of the United States. At the G-7 Paris summit (August 1996), France and Germany claimed that the D`Amato Law was not really meant to make the war against terrorism more efficient but rather to promote American interests in the world. As proof, they raised the fact that the United States chose not to recommend sanctions against Syria despite the latter’s sponsorship of terrorism, because this might be counterproductive to current American interests. It is beyond belief that this is what is meant by ‘terrorism.’ We call criminals ‘terrorists,’ and it is inconceivable that a citizen defending his homeland should be considered a "terrorist." The Syrian president has long avoided any direct or indirect responsibility for terrorism by deliberately changing the definition of terrorism, and artificially distinguishing between a terrorist and a "freedom fighter." Another instance of American interests reflected in its list of states sponsoring terrorism dates from 1982, when the United States first decided to exclude Iraq (due to its desire to help Iraq in its war against Iran) even though it was a well known sponsor of terrorist activities and organizations - as became evident after the Iran-Iraq war. These exceptions, however, prove the rule that the American list is the best and most efficient instrument available today for creating a jointly organized international struggle against states which sponsor terrorism. The United States has assumed a difficult and complex role which should have been assumed by an international agency. However, irresponsibility in the international system regarding this issue, due to the inclination of individual countries to promote particularistic interests at the expense of the entire international community’s safety, has forced the United States to assume this role almost single-handedly. Indeed, rather than criticize American "lack of objectivity," European countries should join the United States in a united struggle against terrorism sponsors, thus "balancing" American policies toward international terrorism. At the fourth summit conference of the International Democratic Union in 1989, Margaret Thatcher noted the hypocrisy prevalent in the international community’s attitude toward terrorism. She said that the world is willing to forgive certain countries, as if civilized behavior were not expected from them. In her view, the community is not tough enough against governments that support terrorism. "A state cannot support terrorism and also enjoy the treatment awarded to a regular member of the international community." The former British Foreign Minister, Sir Jeffrey Howe, concisely explained the disparity between the declarations of Western countries against international terrorism and its sponsors, and the translation of these declarations into action. In a statement at a meeting of Common Market foreign ministers in Luxembourg, (after European community members refused to support Great Britain’s attempt to impose sanctions on Syria following the disclosure of Syria’s direct involvement in the attempted attack on an El-Al plane in London in 1986), Sir Jeffrey Howe said: "It seems that terrorist acts perpetrated in one European country fail to echo in other European countries." International struggle against states which are involved in terrorism should not be limited to the imposition of economic sanctions. Rather, it should cover a full range of diplomatic, legal, economic, and offensive actions. Ultimately, such measures will raise the costs of involvement in terrorism, and therefore reduce the terrorism-related activities of sponsoring states. Single (one-time) acts against a specific country, the lack of international coordination and cooperation, and the hesitant statements by the world’s states, merely strengthen the outlook that sponsoring terrorism can be continued without fear, or that the punishment for such policies will remain tolerable. This trend is evident in the attitude of the Iranian foreign ministry toward the American D’Amato Law. It stated that "Clinton’s decision enjoys no international support and is therefore doomed to fail." Were the world to accept such a distortion of the United Nations Charter and agree to adopt such a resolution, it would become a world of natives and primitives. If we are different we must leave New York, and separate from the United Nations as we did from the League of Nations. This is clearly not a legal matter. The third world now faces a new stage of colonialism. Following the Libyan appeal, Syria lead an initiative to ease the boycott. It raised a motion at a committee of Arab League ministers, meeting in Cairo, to approach the Security Council and ask to be released from enacting the anti-Libyan resolution, number 748. (This suggestion was based on Article 50 of the United Nations Charter, which states that if measures are taken against a member state, any other state confronted with economic problems due to these measures can explore solutions in consultation with the Security Council). In this context, Syria argued that "being Arabs, we stand by Libya, following the proposal made by the latter and accepted by the Arab ministers. Libya has agreed to extradite its two citizens suspected of involvement in the Lockerbie affair to a neutral state, so that they may stand trial." The international community cannot agree to any breach in the international boycott. The effectiveness of international punitive and deterrent measures is severely hindered when countries and companies are willing to break the international boycott to promote their own particularistic interests or to preserve solidarity with their allies. To avoid this situation, the international community must clarify that any state or corporation which deliberately breaks the international boycott is liable to face secondary boycott measures. The D’Amato law (although an internal American law) is a first step in this direction. Until the cost-benefit analysis for terrorism changes, it may remain impossible to agree on a joint and effective international initiative to fight terrorism. Only when countries in the free world estimate that the struggle against countries which sponsor terrorism is more important than other policy objectives will it be possible to force countries such as Iran and Libya to limit their involvement in terrorism and to stop aiding terrorist organizations. This balance of interests will only change when terrorism goes beyond a certain threshold of damage and threats grow significantly. In other words, the situation may have to become much worse before countries in the world decide to endorse an effective initiative against states involvement in terrorism. Only when terrorism affects high numbers of people in countries which today turn a blind eye to the activity of terrorism sponsors, or when non-conventional - chemical, biological, and nuclear - weapons enter the terror arsenal and endanger the entire international community, will countries in the free world initiate an uncompromising struggle against international terrorism and its sponsors. Indeed, effective counterterrorism policies and efforts against terrorism sponsors require limitations on the ability of individual states to make independent decisions. In this case, the authority to define states and organizations as terrorism sponsors and to act accordingly in response should be given to a permanent international institution made of experts from a number of different countries. This international council will study state involvement in terrorism and, on the basis of its findings, will publish a yearly list of countries which engage in terrorism (experts will operate according to an internationally approved mandate). International measures will be adopted against countries included in this list, according to their level of involvement in terrorism, so as to force them to stop or limit their involvement. This is an extremely difficult task, in fact almost impossible. It requires, inter alia, broad international consensus regarding the definition of terrorism and the delineation of the various levels of sponsorship. Indeed, such a concerted international move in this area may be doomed to fail. However, it is possible that the international community could implement some of these goals by establishing a "League of Nations Fighting Terrorism." A group which would include a small number of countries, possibly to be enlarged at a later stage. It is utterly unrealistic to expect any positive development to emerge from the UN on the subject of terrorism, as indeed on many other subjects. The only hope is for the free countries led by the U.S. to bind themselves in a convention outside the UN against terror which provides for international sanctions, a convention by which they will be bound. The response to international terrorism must also be international. Nations must find ways of cooperating against the terrorist network. . . I propose that this type of cooperation be institutionalized and made concrete. Countries that choose to coordinate their activities against international terrorism should create a special international organization for this purpose. Obviously, this organization cannot be created within the framework of the United Nations. It can come into being only if the United States, the most powerful country in the free world, will take the initiative and call for its establishment . . . This organization should coordinate four main functions: first, intelligence gathering and counterintelligence; second, protection of facilities and transportation routes . . . Third, military operations in cases of emergency . . . Fourth, and most difficult, political action against states that initiate and promote terror. Countries that initiate terrorism must be made to understand that they will face an organized, united front of states, a union ready to take measures that an attacked country would not be able to undertake alone. The existence of such an agency might help serve as a deterrent, and possibly an effective means of sanctions and punishment. * To reach an international agreement regarding an exhaustive definition of terrorism. * To endorse a means of classifying countries according to the features and the level of their sponsorship of terrorism. * To publish an updated list of countries involvement in terrorism according to their level of involvement. * To acknowledge the necessity and the duty to punish countries because of their involvement in terrorism. * To define a clear "price scale" to be paid by countries engaged in terrorism. * To adjust the "price scale" to the various types of state sponsorship of terrorism, aiming to change their balance of interests. * To impose a secondary boycott on states and companies that continue to maintain economic and other ties, whether open or covert, with states on which a boycott was imposed because of their involvement in terrorism. * To establish a permanent international mechanism to combat terrorism, one of whose aims will be to ensure that punitive steps are taken against states engaged in terrorism and to warn against any infringement of these measures. Only the careful fulfillment of all these steps can ensure effective action against terrorism sponsors. Otherwise, it will be impossible to alter the cost-benefit calculus, to reduce their involvement, or limit the scope of their attacks or their damaging effects.